Improve the interior ascetics of your BMW F10/12 with this Carbon Fiber Steering Wheel Trim. 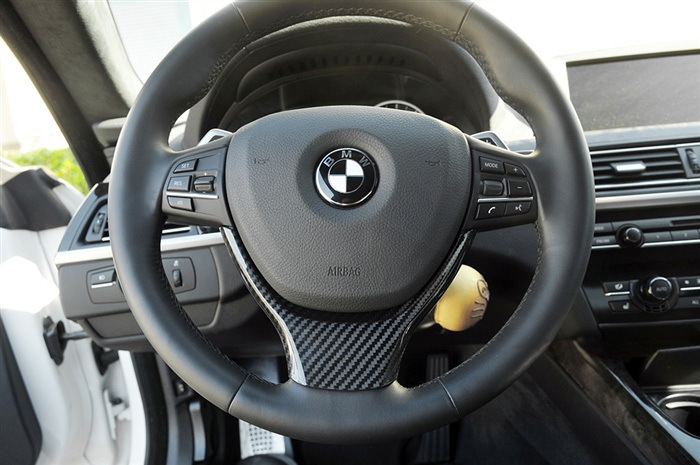 Installation is a breeze and in a matter of minutes this Carbon Fiber Interior Trim will completely change the interior look of your BMW F10/F12. 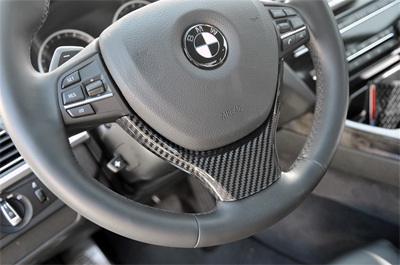 It looks great by itself or with other Carbon Fiber interior/exterior carbon fiber pieces, so be the first to get your hands on this Carbon Fiber Steering Wheel Trim.